We are a small accounting firm, with offices in Cincinnati, Dayton, and Northern Kentucky. Our team is made up of dedicated professionals who make it their business to listen to your accounting needs and provide personalized solutions at an affordable price. 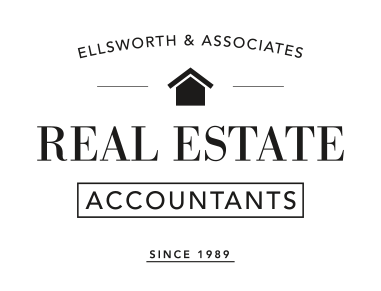 With decades of experience, the team at Ellsworth & Associates can handle all your accounting needs, while making it our business to get to know you personally. We’re flexible, we’re friendly, and above all, we listen. Use our free financial calculators as a helpful tool for financial planning. Investing in real estate can leave you with a lot of hidden costs. It's our goal to make the process as transparent as possible, so you're not left with surprises to deal with later. When you own a small business, you have enough to take care of without worrying about bookkeeping and taxes. We are always focused on your business. Less expensive than hiring an accountant. You can always use our contact us page to send us a message, but if you'd prefer to talk to a real, live human you can give us a call instead. Better yet, come see us in person. We're open Monday–Friday from 8:30 a.m. to 6:00 p.m. We're located in West Chester at ​9624 Cincinnati Columbus Road in Suite 209. Stay up to date with all the important tax deadlines that matter to you. We've organized them all in one place. Read our latest posts about business, taxes, accounting, and reaching your financial goals. Help others find the right accountant by leaving a review of your experience with Ellsworth & Associates. Get quick and useful weekly tax tips and our monthly email newsletter with relevant financial advice.